The Deep Peace 5 day silent meditation retreat run by Will and Rox is held at the Shambala Gathering Retreat Centre in Bergslagen forest near Skinnskatteberg just 2 hours outside of Stockholm. Will and Rosanna ("Rox") are experienced hatha yoga practitioners having both taken a 500 hour yoga teacher training course. The 5 day silent meditation retreat involves teaching the techniques of quieting the mind and opening the heart. You do not need to be an experienced yoga student to benefit from this course and it is open to all. This is much more about learning to meditate and the benefits that this can bring. 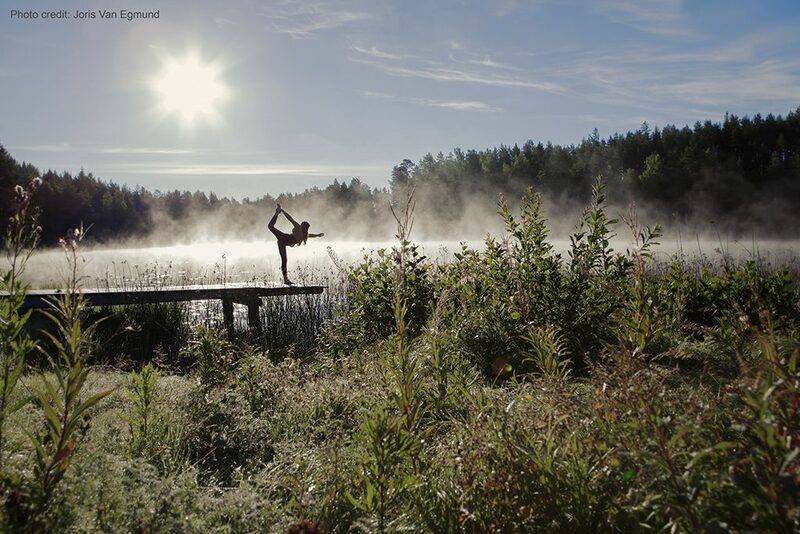 The location is truly stunning with lake, pine forests and the very best of Swedish scenery. The daily schedule includes 2 lectures "sharing teachings from many profound spiritual traditions"
The accommodation is simple but comfortable, pine being the prevailing theme. Room sizes from single rooms to double rooms or shared rooms with bunk bed accommodation. The food is vegan and the price includes 3 meals a day and inspired by the Indian ayurvedic health tradition with mostly organic ingredients. The price is an astonishing 5,900 Swedish Krona which at the time of writing translates to £530.47 (pounds sterling) or $750 (US dollars) which seems very good value with food and accommodation included. With budget airlines such as Ryanair flying from London to Stockholm, it sounds like this is a must attend retreat to try and sample some of that "deep peace".